Modern Condominium with prime location, relaxing atmosphere, healthy environment and stunning views. 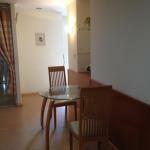 Nice condo in Central Pattaya! Luxury studio on Wong Amat beach!